Great Britain and high-quality, fashionable fabrics have gone hand in hand ever since the dawn of the Industrial Revolution – it’s a heritage that everyone at Hillarys is proud to continue. On a daily basis, we work tirelessly to ensure that your choice of stunning blinds lives up to the expectations and exacting standards of being made in Britain. Every single one of our stunning made-to-measure blinds is tailored to our customers’ exact specifications by the dedicated workforce at our manufacturing centres in Nottingham and Washington. And we check and test all our window dressings over and again until they are ready for your home. We’re delighted to be part of this nation’s tradition of manufacturing with fabrics, and we’re working hard to ensure its future. Hillarys puts expert advice within easy reach, find your local advisor. 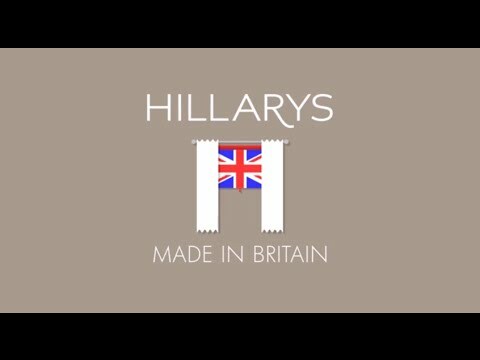 Hillarys has been in British homes since 1971 when Tony Hillary fitted his very first blind.